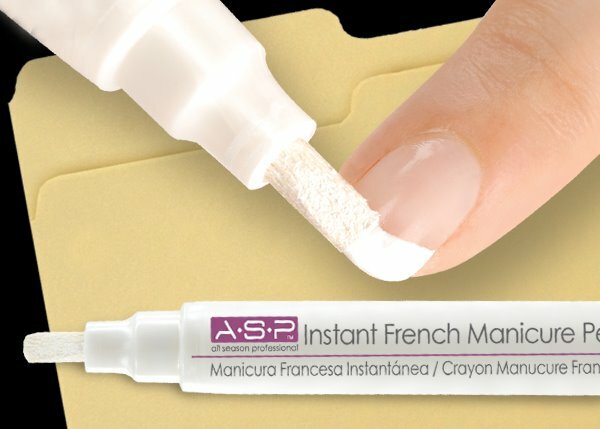 Please explain a french tip. According to Nails Magazine, the french manicure is probably in no ways French and was created to be done on short nails to mimic the natural look of healthy groomed nails and would thus match any outfit. First of all, Nails Magazine. 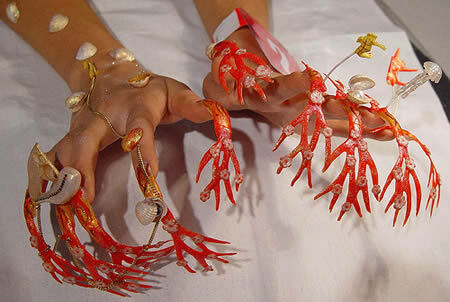 Second of all, the French manicure has evolved into something real tacky, along with most other nail art. There were great advances in nail technology in the late 80s/early 90s that permitted the above glory to be accessible to the average lady off the street. All we had before that was the at-home kit, and let’s be honest, I could do a better job with a bottle of white-out. I don’t know when getting your nails did became a thing. Were there even salons specifically for nails until the mid-80s? Now they are eveywhere and cater to every taste, particularly if your taste is vulgar. I will leave you with this, which… I feel sick. What are your feelings about Robsten and the recent traumatic events that have devastated millions of Twihards, myself included? Is the dream over? Will there be no more Terrible fan art? I must admit that I wish Robsten had seen their relationship through to some ridiculous wedding, and perhaps a half breed child of pale coloring. The charm of Them was not because of a decadently-terrible-movie romance realized; I just genuinely (or naively) thought they were a cool couple, never fully admitting their coupledom. Initially, I was less heartbroken, and more disappointed, disappointed that Kristen Stewart is a dumbass after all. She finally admits that she is in a relationship with Rob, but does so in a public letter of apology for cheating with her married director. 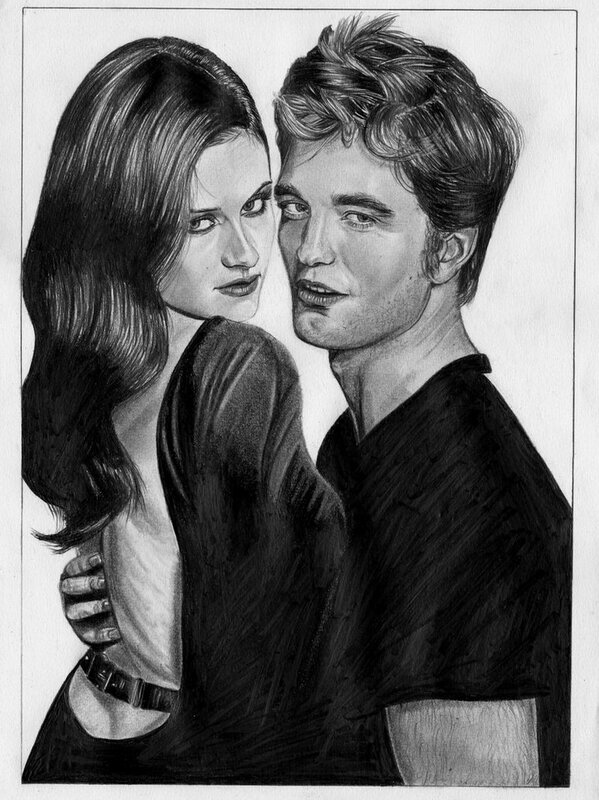 The Robsten relationship officially ended and started for us simultaneously. The letter should have gone to Rob only, and she should have said nothing to us because their relationship has never been any of our business anyway. But its women who wear the scarlet letter. The affair cost Kristen the starring role in subsequent “Huntsmen” films; meanwhile, the married with children director she slept with gets to keep his job and his wife. Horrifying. I instantly forgive her for the affair, the betrayal of that cute-but-too-far-apart-eyed heartthrob, and for sharing her passed note of apology with the class.